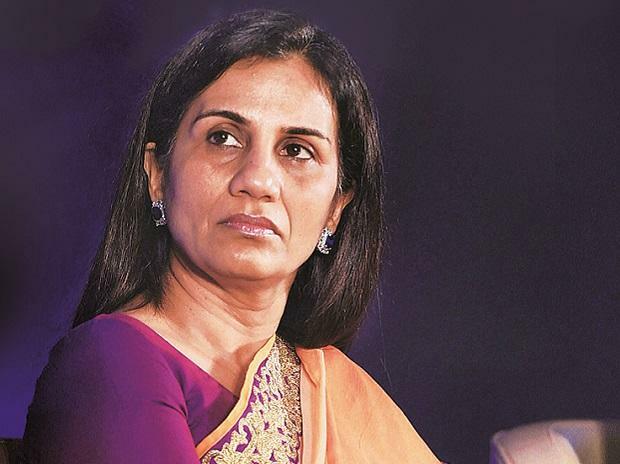 The Srikrishna committee has found severe breach of corporate governance and disclosure norms by Chanda Kochhar, ICICI Bank’s former chief executive officer and managing director, in the restructuring of debt of at least six corporate accounts other than that of Videocon Industries, said a person privy to the panel’s findings in the Rs 3,250-crore ICICI-Videocon loan case. According to him, the panel has pointed out favouritism and conflict of interest with regard to credit disbursement to these firms. These firms underwent refinancing and restructuring, which was approved of by the bank’s credit committees. “Some loan accounts/borrowers clearly showed that she failed in her fiduciary responsibility, and in fact misused her position. In that case, she ought to either disclose or recuse herself from the bank’s credit committee where she played a vital role in approvals,” the person added. 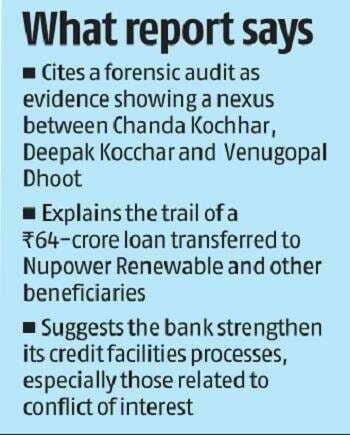 On the Videocon loan account, the panel cited a forensic audit as evidence showing a nexus between Kochhar, her husband Deepak Kocchar and Videocon Chairman Venugopal Dhoot. The panel also explained the trail of a Rs 64-crore loan transferred to Nupower Renewable and other beneficiaries of the deal. Besides, it recommended the bank strengthen its credit facilities processes, especially those related to conflict of interest. However, the panel was silent on the role of credit committees conclusive outcome in the matter. The private lender-appointed committee, headed by former Supreme Court Justice B N Srikrishna, submitted its findings to the board on Wednesday, following which the lender decided to stop all unpaid retirement benefits to Kochhar and also recover bonuses paid to her since 2009. The bank in a statement said Kochhar “ineffectively” dealt with “conflict of interest and due disclosure or recusal requirements" while deciding on loans given to Videocon Group, in which her relatives had close business interests. After examining the Srikrishna probe report, the board tagged the separation of Kochhar from the bank as ‘Termination for Cause’. Last week, the Central Bureau of Investigation (CBI) filed an FIR against Kochhar regarding quid-pro-quo allegations in the loan given to Videocon Group. The FIR also mentioned that the role of former ICICI Bank chairman KV Kamath and current MD & CEO Sandeep Bakhshi, along with other senior bankers, in the matter might be examined. Kochhar had denied the allegations following the first whistle-blower complaint, originally made in 2016. The bank's board had earlier showed full support to the then CEO. “I reiterate that none of the credit decisions at the bank is unilateral. ICICI is an institution with established robust processes and systems which involve committee based collective decision making with several professionals of high calibre participating in the decision making. Hence the organization design and structure obviate the possibility of a conflict of interest,” she stated. Kochhar said in her 34 years at the bank, she served with dedication and hard work, and that she never shied away from taking tough decisions whenever required in the best interest of the bank.